Miles Maxwell Band – Red Ghost – Album Review | The Ark of Music – The best music in the world…you never knew existed. What do you get when you cross one broken-heart with a chance encounter of an old teammate? Answer: the rock-infused, Americana quartet known as the Miles Maxwell Band. After having left his music behind for a decade, lead singer-songwriter-guitarist, Miles Baltrusaitis, went on an unexpected 9-song writing spree as the result of an ill-timed middle-aged break-up. 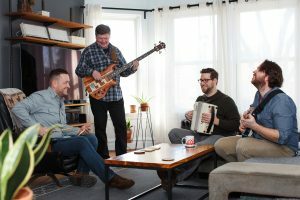 Wanting to put a band together in order to bring the songs to life, Miles—as fate would have it—serendipitously bumped into former college football teammate—and drummer—Matt Stankiewicz, and his keyboardist brother, Dan Stankiewicz; as well as meeting bassist, Steve Kingwell, through a mutual acquaintance. And like that… MMB was born. Recorded in Miles’s home studio in the Chicagoland area, their debut album, Red Ghost, offers those nine tracks of love, loss, hopes and dreams, with a wisely familiar and accessible sound. Organ, acoustic guitar, bass and drum—mixed to damn-near perfection—gives us the wonderfully composed, I Can’t Be Myself. The track is immediately accessible, and has an “instant classic” radio potential. The bright and energetic, Jenever (in Acquia), offers a quick 2:15 of finger-picked, instrumental goodness. Be With Me is like a light and playful shot of Jack Johnson. Ceiling Fan sounds like that Eddie Money-esque style of late-70’s pop-rock. Hand-crafted, textbook Americana. Miles Maxwell Band’s debut album, the longtime coming, Red Ghost, is an elegant (that’s right I said elegant) and melancholy ride across what one could argue is as pure and authentic of a pop-Americana sound as anyone has conjured in recent memory. Simple and relatable lyrics of straight-forward broken-heartedness, unite for a full nine tracks with crisp, veteran performance and production—a fine effort, particularly for a front-man who’d taken a decade off. All in all, what you get here is nine emotive, radio-ready songs with a potential to strike a soft, warm-hearted chord with future fans. 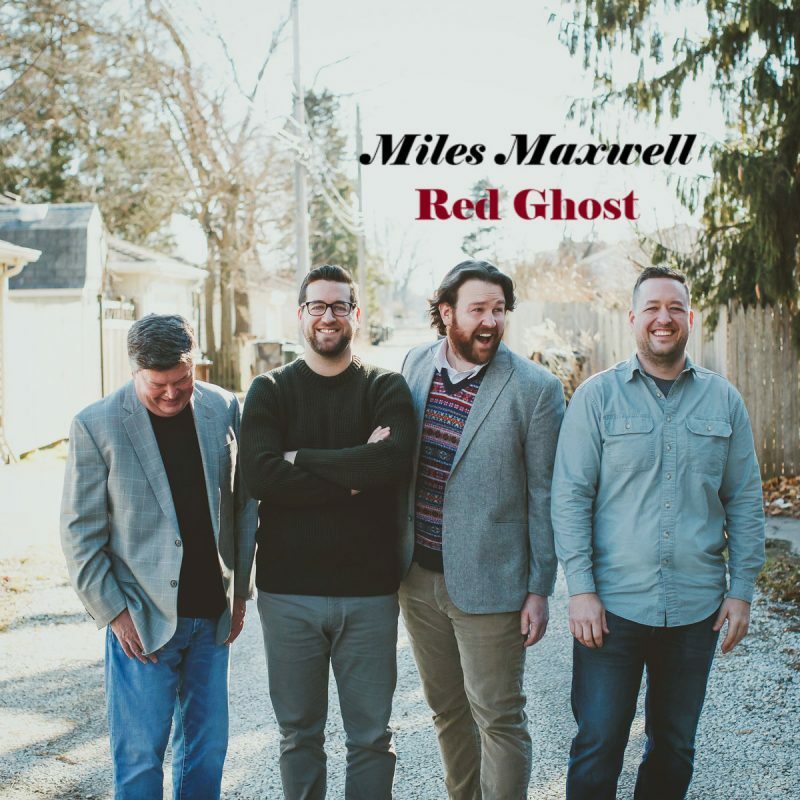 BELOW: Listen to Miles Maxwell Band’s album, Red Ghost, and connect with their website and social media platforms. Please support Miles Maxwell Band by visiting them online, and playing, downloading, and/or purchasing their music, or attending a live show! And, as always, thank you for supporting real music!